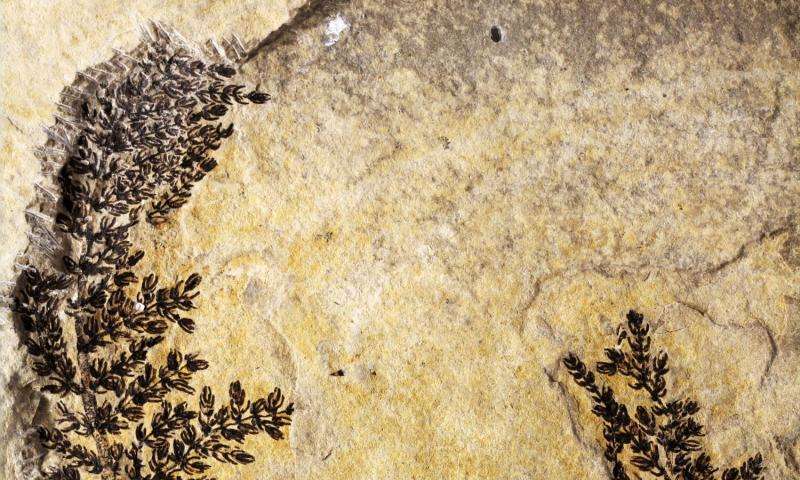 The conclusions are based upon careful analyses of more than 1,000 fossilized remains of Montsechia, whose stems and leaf structures were coaxed from stone by applying hydrochloric acid on a drop-by-drop basis. The plant's cuticles—the protective film covering the leaves that reveals their shape—were also carefully bleached using a mixture of nitric acid and potassium chlorate. "Montsechia possesses no obvious 'flower parts,' such as petals or nectar-producing structures for attracting insects, and lives out its entire life cycle under water," he said. 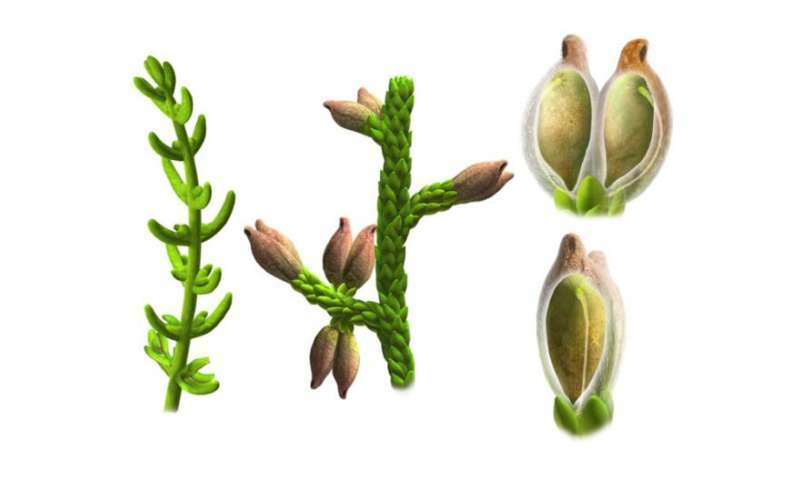 "The fruit contains a single seed"—the defining characteristic of an angiosperm—"which is borne upside down." But if flowers evolved from flowerless plants... how does it come that there still are flowerless plants around? Eh? Why would you expect evolution of flowers from one flowerless plant to cause all other flowerless plants to cease to exist?